We are pleased to offer for sale these Magazine Storage Bags by BCW Pack of 100 Polypropylene Magazine Bags THICK. 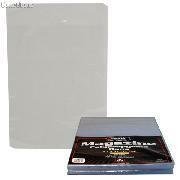 These Magazine Storage Bags are made of completely transparent 2 mil polypropylene. Acid-free, archival quality makes these Magazine Storage Bags ideal for long-term magazine storage. 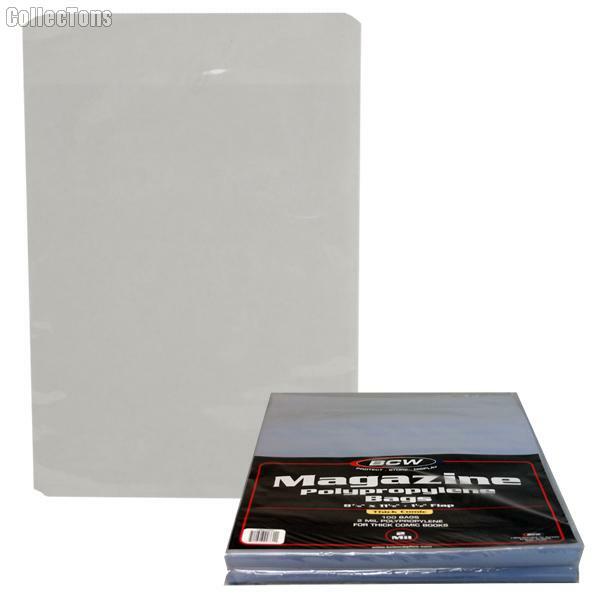 The dimensions of these Magazine Storage Bags are 8 7/8" x 11 1/8", plus a 1 1/2" non-adhesive flap for closure. These Magazine Storage Bags are designed for thick comic books as well as magazines.